I am beyond excited to tell you why I launched the Writing Warriors Collective. If you don’t really care about why and just want access to all the goodies, then click here and skip the rest of the post. I’d wanted to be a writer since I was 7. Even at that young age, I was an avid reader. As an only child reading stories and making up my own was my favorite pastime. However, back then becoming an author for a living seemed as attainable as finding a unicorn to ride. So I shelved that dream for many years. Even though it was always in the back of my mind. Then in my late 30’s I went through a divorce which if you’ve been through one (and if you have I’m sorry, wouldn’t wish it on anyone) you know it’s life-changing. As I was trying to put the pieces back together, I began to realize how short life was not to chase your dreams. I’d always been practical but felt it was time to make an attempt the impractical. Or what many thought was impractical. This was in 2007, and coincidentally that’s when the Kindle first came out, but honestly, that wasn’t even on my radar. I’d attempted to write a novel before but always stopped thinking it was crap (and it was). But this time I promised myself I’d follow my goal all the way through and finish. And if nothing else have a finished piece of crap instead of a half-finished one. 18 months later and I typed The End. I was over the moon happy. I finished a book. I finished a freakin’ book. How awesome was I?? I decided to go the self-publishing route because I wasn’t confident it was any good and querying agents, editors, and such terrified me. The next 6 months were spent trying to figure out how to accomplish getting my book in final print format. I will spare you the details but I spent a ton of money and time for a crappy end product. One day as I was lamenting to a friend how much time and money I wasted to barely sell any books, and only to those who HAD to buy them (friends/family), she asked how many ebooks I’d sold. She rolled her eyes and called me stupid (don’t you love great friends like that). So I figured what the hell it couldn’t hurt to do an ebook version. I figured out how to put it up on Amazon and then promptly forgot about it. Luckily I hadn’t made that comment before I looked it up or I would have had to eat my words. I HAD SOLD A BOOK WITHOUT EVEN TRYING! I decided then and there that I needed to get on the ebook train. I begrudgingly bought a few ebooks to read on my new Kindle, and while I wanted not to like it, I did. It was so much easier to carry around many ebooks to read when I had a few moments instead of stuffing them in my bag and carrying them around. I was sold and totally convinced that ebooks would explode and be here to stay. My first month in the ebook business (in 2009) I made $5.64. I was rich! Maybe not in money but in excitement at the possibilities. I wrote more books, starting making a ton of mistakes, and in spite of all the mistakes making some money. I was making money as an author. I couldn’t believe it. 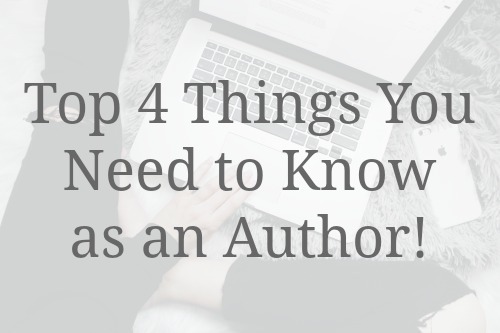 However, life as a published author isn’t all rainbows and unicorns. Come back tomorrow for part 2 of my story.